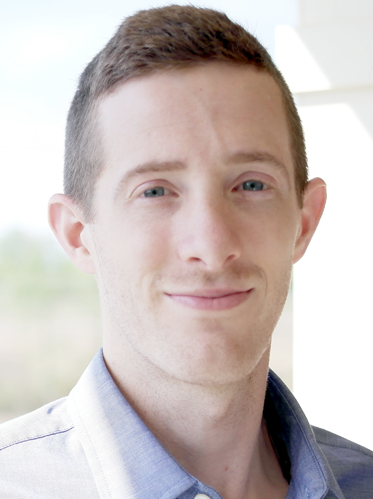 Nowlan Freese joined the Loraine Lab as a postdoctoral researcher and trainee in Sept. 2014. At first, Nowlan’s primary role was to lead outreach and training efforts for the Integrated Genome Browser project. A developmental biologist by training, Nowlan helped expand the IGB user base by leading workshops and on-line webinars introducing IGB to the wider community. Along the way, he developed new expertise in bioinformatics and genomics. In 2015, Nowlan successfully applied for an NSF Postdoctoral Fellowship in Biology, sponsored by the Plant Genome Research Program. His project investigates the relationship between DNA methylation and alternative splicing. He is one of UNC Charlotte’s first recipients of a National Science Foundation Postdoctoral Fellowship in Biology. Nowlan Freese grew up on a small farm in Indianola, Iowa, where he raised livestock and developed a deep appreciation for agriculture. While attending Indianola High School, he became interested in biology and genetics. This interest guided his studies following graduation from high school, and in 2008 he received a B.A. in biology from Saint Olaf College in Northfield, Minnesota. After college Nowlan moved to Clemson, South Carolina where he enrolled in a Ph.D. program at Clemson University in the Biological Sciences department. There he studied developmental biology of vertebrates, focusing on genetic pathways that specify the size and shape of the vertebrate tailbone. This research culminated in his thesis: A novel gain of function of the gene IRX1/2 disrupts axis elongation in the Araucana rumpless chicken, and in 2013 he received his Ph.D. from Clemson. After graduating Nowlan moved to Jena, Germany with his wife. There he worked at the Max Planck Institute for Chemical Ecology, studying the use of nematodes as a deterrent to Western corn rootworm larvae. After moving back to the U.S. in the summer of 2014, Nowlan joined the Loraine Lab as a postdoctoral trainee. Nowlan led the outreach efforts for IGB, running several hands-on workshops as well as hosting the online Focus on a Feature tutorials. In 2015 Nowlan was awarded a National Science Foundation Postdoctoral Fellowship. He is now studying the mechanisms of stress tolerance in plants while building his expertise in bioinformatics data analysis.